Anne is an orphan with a penchant for daydreaming and distinctive flaming-red hair that catches the eye of everyone she meets. She is overjoyed to be sent to Green Gables, the Cuthberts' farm, which she imagines to be the home she has always dreamt of. When her new family, who had been expecting the arrival of a boy, display reservations about the newcomer, Anne must win them over with her charm, beauty and intelligence and find a way to fit in. Originally published in 1908, L.M. Montgomery's Anne of Green Gables has come to be acclaimed as one of the world's greatest children's tales. Its numerous sequels, adaptations and spin-offs are a testament to the beauty of this simple story, which continues to enchant readers to this day. One of Canada's most popular children's authors, L.M. 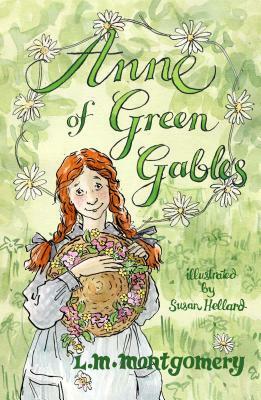 Montgomery (1874–1942) is best remembered for her first book, Anne of Green Gables, which brought her instant success. A series of sequels followed, as well as works such as Rilla of Ingleside.